HPDC'12 will have an achievement award talk and an two keynote speakers. Abstract: With the widespread availability of high-speed networks, it becomes feasible to outsource computing to remote providers and to federate resources from many locations. Such observations motivated the development, from the early 1990s onwards, of a range of innovative Grid technologies, applications, and infrastructures. We review the history, current status, and future prospects for Grid computing. 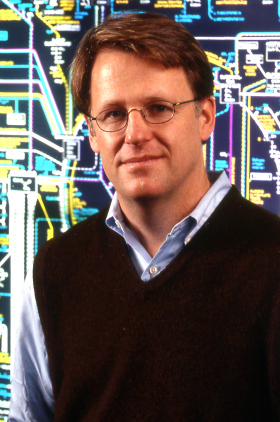 Bio: Ian Foster is the Arthur Holly Compton Distinguished Service Professor of Computer Science at the University of Chicago and an Argonne Distinguished Fellow at Argonne National Laboratory. He is also the Director of the Computation Institute, a joint unit of Argonne and the University. His research is concerned with the acceleration of discovery in a networked world. Foster was a leader in the development and promulgation of concepts and methods that underpin grid computing. These methods allow computing to be delivered reliably and securely on demand, as a service, and permit the formation and operation of virtual organizations linking people and resources worldwide. These results, and the associated Globus open source software, have helped advance discovery in such areas as high energy physics, environmental science, and biomedicine. Grid computing methods have also proved influential outside the world of science, contributing to the emergence of cloud computing. His new Globus Online project seeks to outsource complex and time-consuming research management processes to software-as-a-service providers; the goal here is to make the discovery potential of massive data, exponentially faster computers, and deep interdisciplinary collaboration accessible to every researcher, not just a select few "big science" projects. Mihai Budiu of Microsoft Research, Mountain View, USA. Abstract: This presentation will describe several components of the DryadLINQ large-scale computing platform built at Microsoft Research in Silicon Valley during the last seven years. We will cover many software layers, including storage, execution, and compilation. We will end by discussing how the platform was used to build and run a large-scale machine learning algorithm for training the body-parts classifier of the Xbox 360 Kinect real-time body tracking pipeline. Bio: Mihai Budiu is a researcher at Microsoft Research in Silicon Valley. He has received his Ph.D. from Carnegie Mellon in 2004. He has worked on reconfigurable hardware, computer architecture, high-level synthesis, compilers, security, and cloud computing infrastructure. Ricardo Bianchini of Rutgers University, USA. Title: "Leveraging Renewable Energy in Data Centers: Present and Future"
Abstract: Interest has been growing in powering data centers (at least partially) with renewable or "green" sources of energy, such as solar or wind. However, it is challenging to use these sources because, unlike the "brown" (carbon-intensive) energy drawn from the electrical grid, they are not always available. In this keynote talk, I will first discuss the tradeoffs involved in leveraging green energy today and the prospects for the future. I will then discuss the main research challenges and questions involved in managing the use of green energy in data centers. Next, I will describe some of the software and hardware that researchers are building to explore these challenges and questions. Specifically, I will overview systems that match a data center's computational workload to the green energy supply. I will also describe Parasol, the solar-powered micro-data center we have just built at Rutgers University. Finally, I will discuss some potential avenues for future research on this topic. Bio: Prof. Ricardo Bianchini received his Ph.D. degree in Computer Science from the University of Rochester in 1995. From 1995 until 1999, he was a Research Associate and then Assistant Professor at the Federal University of Rio de Janeiro, Brazil. He is now a Professor with Rutgers University. 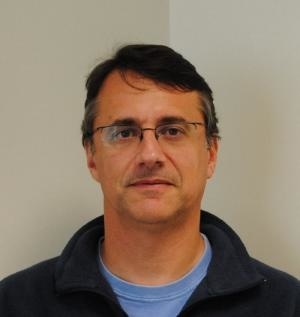 Prof. Bianchini's current research interests include the power, energy, and thermal management of data centers. In fact, he is a pioneer in data center energy management, energy-aware storage systems, load distribution across data centers, and leveraging renewable energy in data centers. He also introduced the Mercury tool for thermal emulation and many policies for handling thermal emergencies in data centers. Prof. Bianchini has co-chaired the program committee of several conferences and workshops, and has been a member of the editorial board of multiple journals. He has also been a member of the program committee of 60+ conferences and workshops. Prof. Bianchini has published 5 award papers and has also received the NSF CAREER award. He is currently an ACM Distinguished Scientist.